In the finale of Season 5, the team investigated a serial killer who had been murdering families during the night for 26 years. Eventually the case led Derek and Detective Spicer, a local officer, to Spicer's home, where the killer was holding the officer's sister and daughter hostage. The killer disarmed Derek and forced Spicer to his knees, who then begged Derek to save his daughter Ellie. Derek promised he would and the killer executed Spicer. In one of the most intense cliff-hangers, the season ended with Derek being knocked unconscious by the killer. In the premiere episode of season 6, Derek wakes up to find that the killer has gotten away with Ellie in tow. 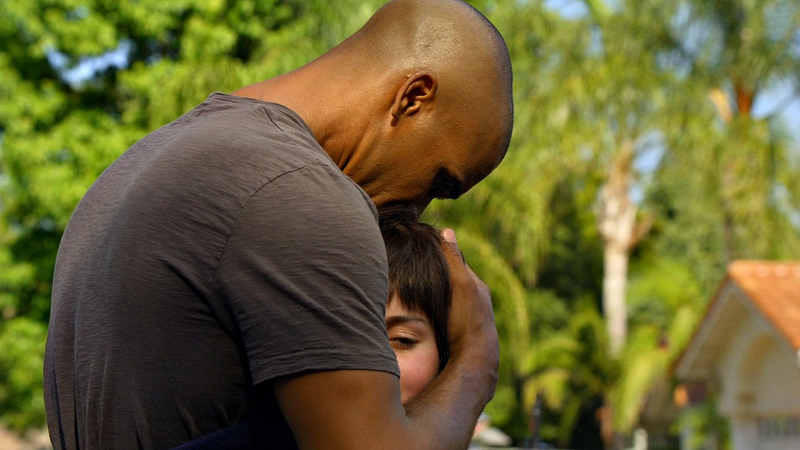 The team worked hard to find them and eventually the episode ended in a face-off with Derek and the killer. When the dust settled, Derek left the scene to see Ellie safe, wrapped in a blanket outside. The two embraced in a tearful hug.